Join the cast of Aladdin from Milton Keynes Theatre and breakfast presenters from Heart FM for the official lighting of the Christmas tree in Queens Court and Christmas lights throughout the centre:mk. Switch on will be at 5.00pm in Queens Court and there will be choirs, music and even the promise of real snow. Wow. (Santa will always be arriving and then making his way to Middleton Hall for the opening of the grotto and display in Middleton Hall). Stony Stratford high street becomes a hive of activity for the infamous annual Christmas light switch-on. There’s a funfair, Christmas stalls and lots of live entertainment throughout the day. The annual lantern procession which commences from York House, London Road will start at 4.15pm and ends with the light switch-on at 5.00pm. Not to be outdone by Stony, Newport Pagnell’s Christmas switch-on is set to be their biggest yet. With a huge array of stalls selling handmade local produce, refreshments and live entertainment. With raffles available too, you could win something amazing for Christmas. The Christmas fun family event at the Theatre District is set to be a star studded affair. With local talent from hit shows like The X Factor and The Voice performing and even our own European Cheerleader champions showing us their best moves. Local primary school choirs will also be on hand to melt even the coldest Grinch hearts. Santa will be arriving on a motorbike to Bletchley this December with a very special competition winner to light up the town centre. 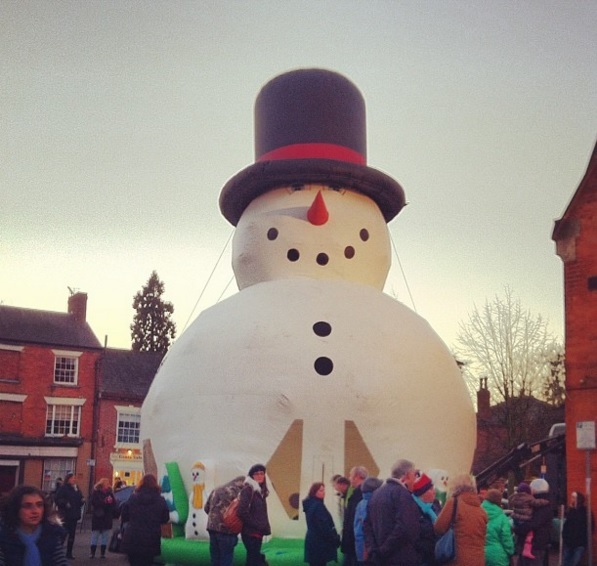 Lots of Christmas stalls and entertainment is on offer from 2.00pm until 6.00pm including a lantern parade!